Faboo! The Warner siblings refuse to stay locked away! 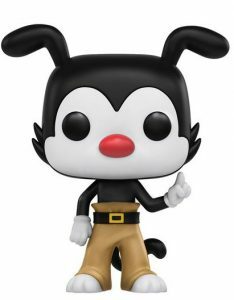 2016 Funko Pop Animaniacs adds a little bit of lunacy to the Pop! Animation line. The set includes the three primary characters of the show. First introduced to viewers during the Fox Kids programming segment, Animaniacs eventually found a larger and older audience on Kids' WB. With a long list of characters, including popular duo Pinky and The Brain, the animated series follows three cartoon siblings who not only have been locked in the Warner Bros. water tower since the 1930s but are the studio's very own namesake. The Warner brothers (and sister!) had distinctive roles and personalities that came through during each episode. 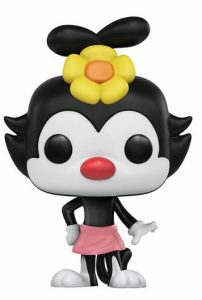 The 2016 Funko Pop Animaniacs vinyl figures reflect each of their zany quirks. The oldest sibling, Yakko, is a know-it-all wise guy. His figure is shown with his index finger up as if he were telling you how you are absolutely incorrect about everything. 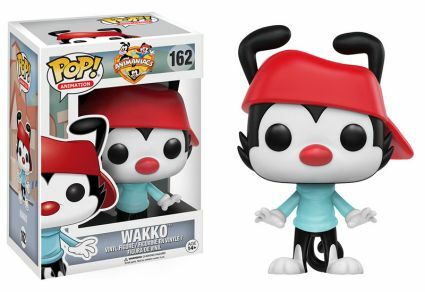 With tricks up his sleeve and perpetually hungry, Wakko is posed with his signature backwards red hat. Finally, the always adorable and sassy little sister, Dot, can be found wearing her pink skirt and a daisy atop her head. 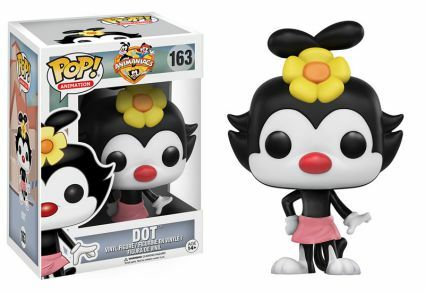 The 2016 Funko Pop Animaniacs vinyl figures are each approximately 3 3/4” tall and are officially part of the Funko Pop! Animation line. Funko POP! Animation - Animaniacs Vinyl Figure - YAKKO #161 In Protective Cover! Animaniacs POP! 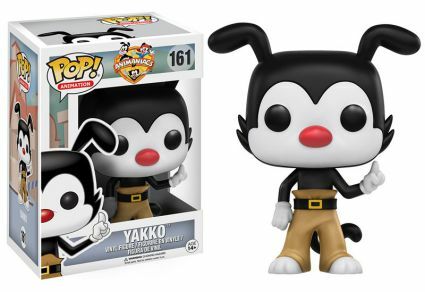 Figures Yakko, Wakko, And Dot Funko POP 3 Set- Animation New!